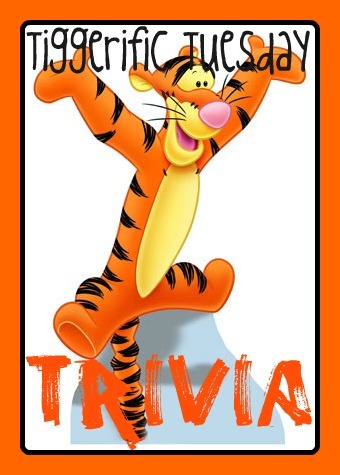 Hello everyone, and welcome to Tiggerific Tuesday Trivia, the weekly Disney Trivia series that I host along with my friend Jodi from Magical Mouse Schoolhouse, Jenn from Disney Babies Blog, and Heidi from Heidi’s Head! Today I’ve got a unique piece of trivia for you that is based around the Tree of Life at Disney’s Animal Kingdom Park! That the Tree of Life measures 145 feet tall and 160 feet wide, and that it features 325 extinct, contemporary, or imaginary creatures? Additionally, there are over 103,000 leaves situated on the over 8,000 branches, and that each leaf was done by hand? That is an incredible amount of detail that they put into the Tree! Also, there is the 430 seat theater that houses the show “It’s a Bugs Life” that is located underneath the tree! All of this detail is courtesy of the incredible book titled “Magical Mouse Schoolhouse: Learn While You Play at Walt Disney World Resort” by our very own Jodi Whisenhunt! If you don’t have this book, go out and get it, I’ve linked over to where you can get it in the title. Thanks for stopping by today! Now, please go check out the rest of the entries this week! The Tree of Life is one of my favorite things to see when I visit WDW and I can not wait to take my kids to see it next year!! I am so excited to go back to see it someday now! I had no idea that all those thousands of leaves were hand painted! WOWZA!! Interesting facts. I love looking at all the animal carvings. Thanks for the info! I’m so in awe of the Tree of Life. I could spend a lot of time just staring at that tree. It’s amazing how much you realize you hadn’t seen before every time you look at it! It’s been awhile since I’ve just looked at the tree…I think that’s on my list for my January trip! Previous Post: Magical Blogorail Coast to Coast Contest!